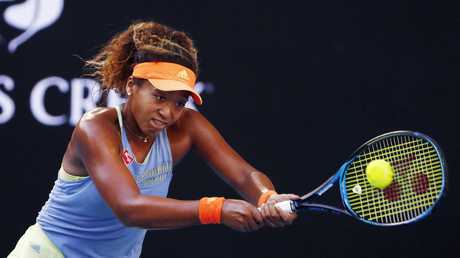 The tennis world has been served an ominous warning with Naomi Osaka's second grand slam triumph signalling a new dominant force in the women's game. 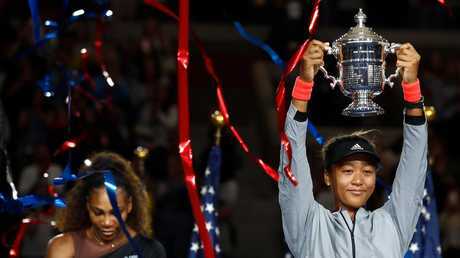 Osaka overcame a mid-match meltdown to secure back-to-back grand slam titles, following her breakthrough US Open triumph, with her power-hitting, pinpoint ground strokes and steely mentality praised as she defeated Czech star Petra Kvitova. It capped off an extraordinary 12 months for the rising powerhouse, who 12 months ago was ranked 72 in the world. Now, at just 21, she's the newly installed world No.1. Since Serena Williams held the No.1 ranking from February 2013 to September 2016, there have been 11 changes at the top of women's tennis - with no one holding onto top spot for a 12-month period. 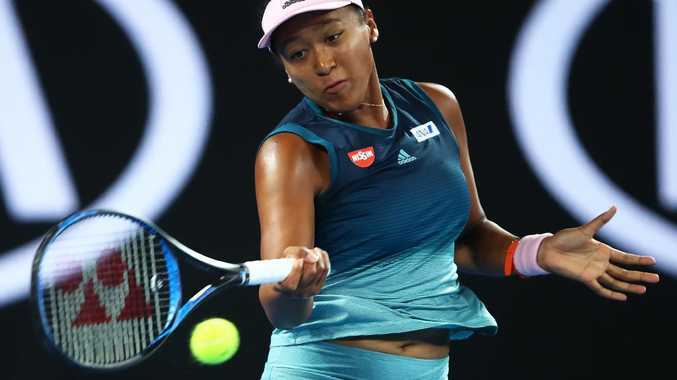 But Osaka has the potential to change that, with four-time grand slam champion Jim Courier predicting the world will see an ever-improving young star. And that should leave the rest of the women's tour scared. "She has improved so much here in a rather short period of time," Courier said in commentary during Osaka's victory. "There is a lot of room for her to get even better than she already is. "There is a lot that can improve in her game and that should be scary for the rest of the tour, because this time next year, I suspect that her coach and team will have her even more sound and difficult. "The second serve should be on average a little heavier, and I think she should be very confident in herself." One of the key areas Courier believes Osaka and coach Sascha Bajin will work on is her net play. She took down Kvitova in a barrage of powerful baseline rallies - and has solidified her reputation as one of the game's biggest hitters. But she can become an even more dangerous proposition as her all-round game is finetuned, Courier believes. "I think she will be able to get to the net and finish more points at the net," he said. "She didn't win one single point at the net. She won all of them from the baseline. That is a huge area for her to explore and take advantage of her great weaponry." Courier also heaped praise on Osaka's calmness in icing her two grand slam victories - from refusing to be drawn into the infamous Serena Williams meltdown at Flushing Meadows to regrouping after blowing four championship points against Kvitova. "In New York there was negative energy and the crowd was negative energy and the crowd was very much upset with the chair umpire and Serena had lost her way emotionally in the match and there was a game penalty," Courier said. "There was a lot that would have disrupted most players. Naomi was very serene in that moment."